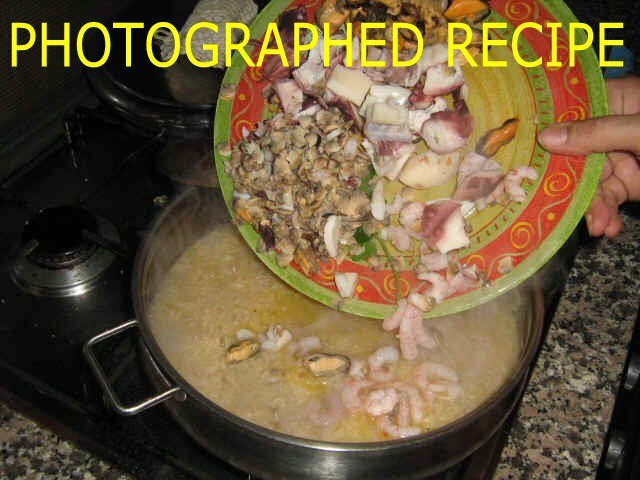 The risotto alla pescatora is a traditional and widespread recipe. 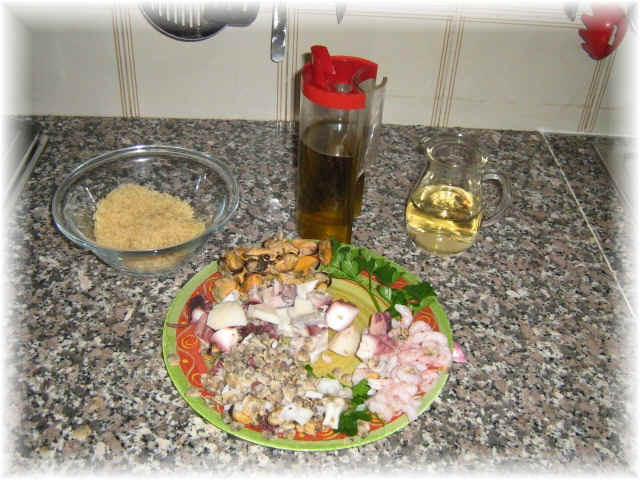 Due to this fact there are many variants...we propose one of the most classic and coded recipes. Notes to the recipe: The most important think in the risotto alla pescatora is a perfect mix of flavours and fish perfumes; for this reason we avoided all the versions with tomato sauce, not suitable with this kind of rice. About the fish: as all the sea recipes the risotto alla pescatora is made following the fish availabilities on the market, in other words what you find very fresh. The unavoidable fishes are: blue mussels, necessary for the perfume, and a wide variety of fishes for a good blend of flavours and consistency. The most important work is the preparation of the various fishes. You can of course to make your work quicker, by using frozen products, but a great part of the perfume will be loosed. 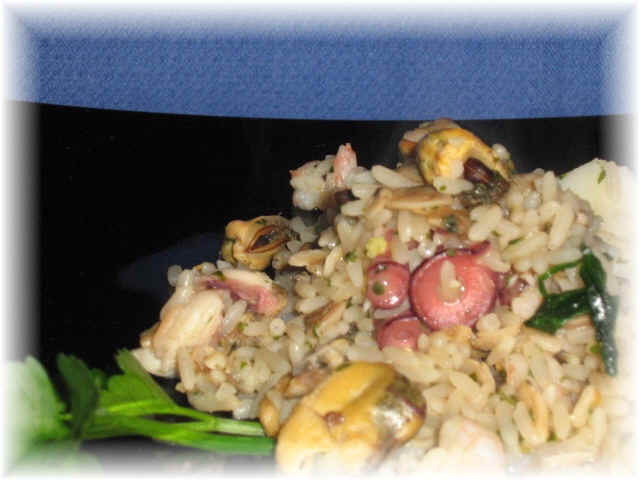 Due to the fact that the pre cooking proceeding is the same of the sea salad, we suggest to combine the risotto alla pescatora with this recipe, which could be either a starter or a main course: you will obtain with this combination a perfect and complete seafood meal.